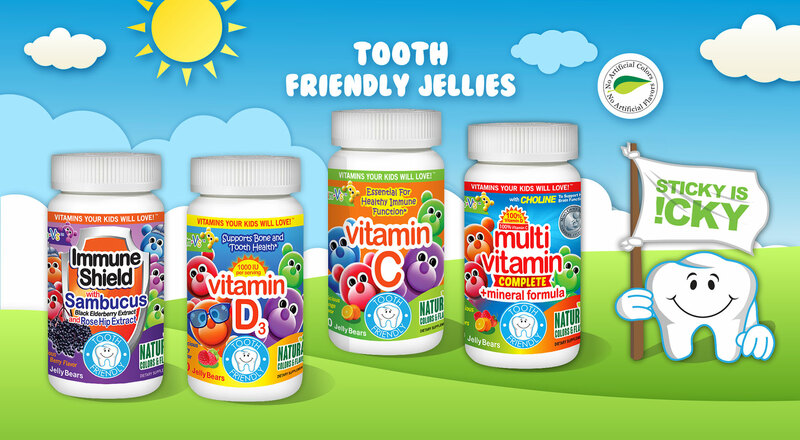 Yum-V Jellies are loaded with nutrients your children need to grow up healthy and strong. 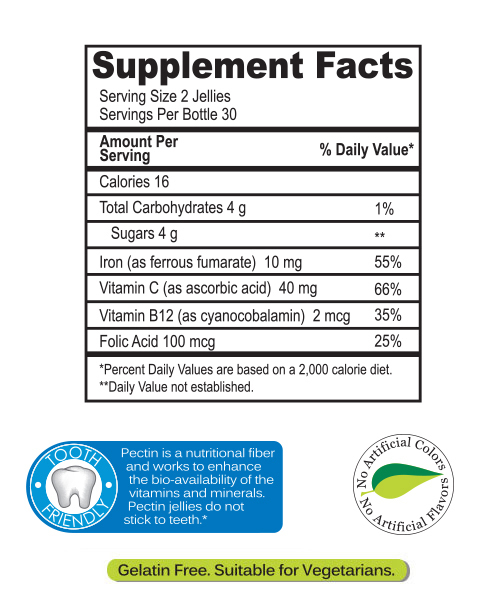 And because our jellies are made of pectin they not only taste great but they help the body absorb the vitamins. 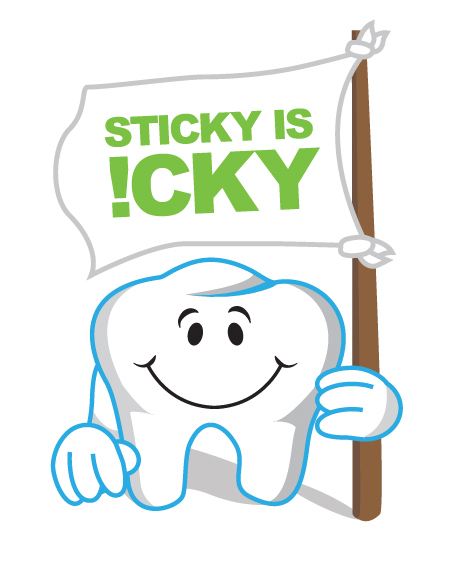 Plus they don't stick to teeth. 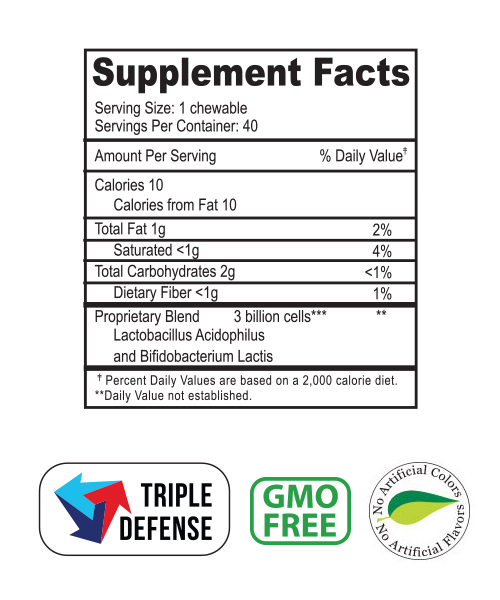 All of our jellies are vegan, kosher, allergen free and with all natural colors and flavors. 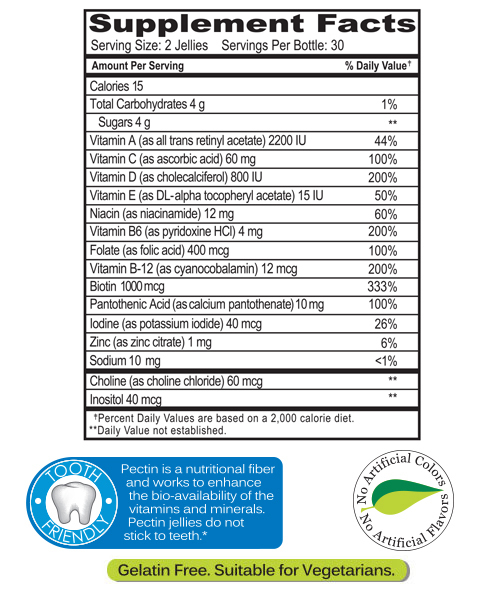 Pectin is a soluble, nutritional dietary fiber found in most plants and in higher concentration in apples, citrus fruit and plums. 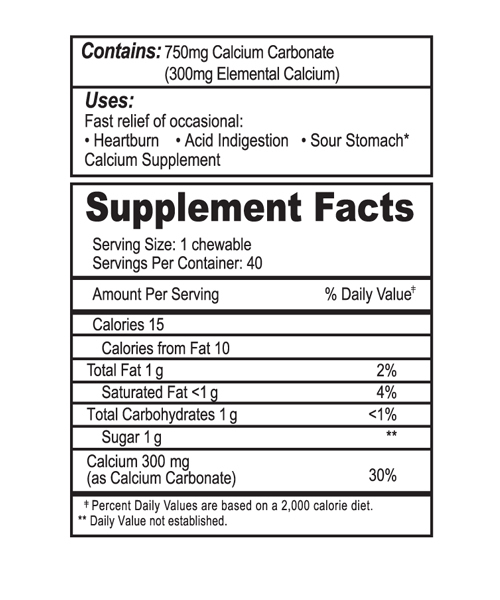 It is a greener alternative to gelatin, the basic matrix for most other gummy products on the market. 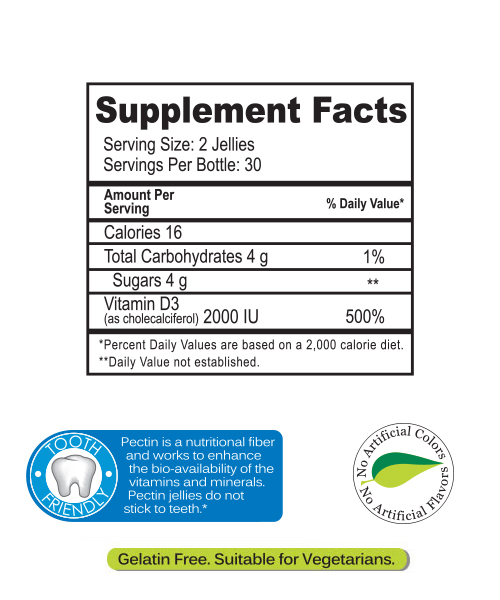 Contrary to pectin, gelatin is of animal source (from porcine, bovine or fish). 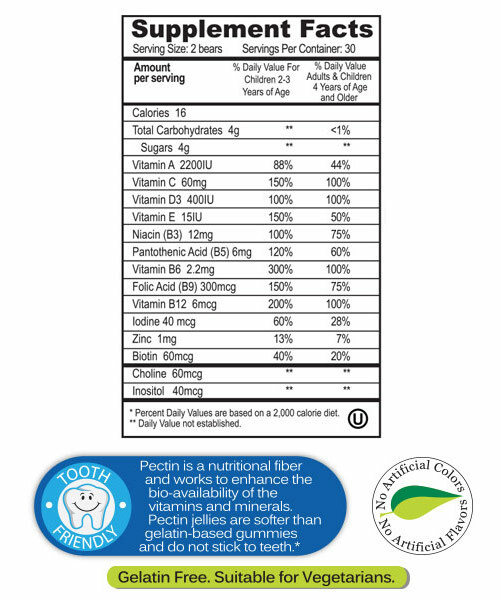 An added benefit is that pectin is softer and better tasting than gummies made of gelatin. 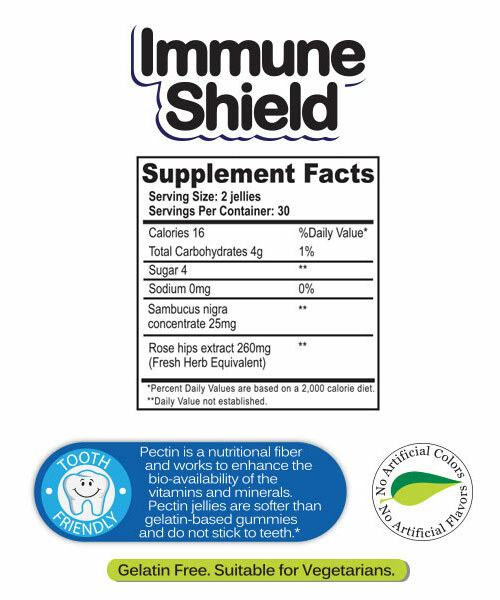 Description and indication: Delicious raspberry flavor pectin based jelly product provides children with a fun and tasty way to enrich their diet with Sambucus Nigra – a strong anti-oxidant that boosts their immune system. 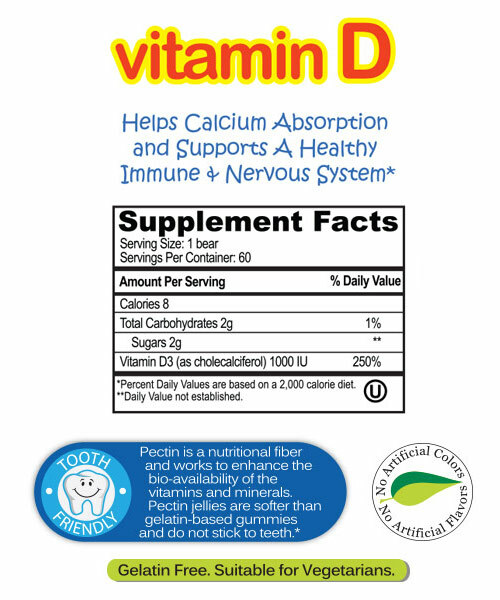 Description and Indication: Delicious raspberry flavor pectin based gummy product provides children with a fun and tasty way to enrich their diet with the Vitamin D they need for bone health and for a healthy and strong immune system. 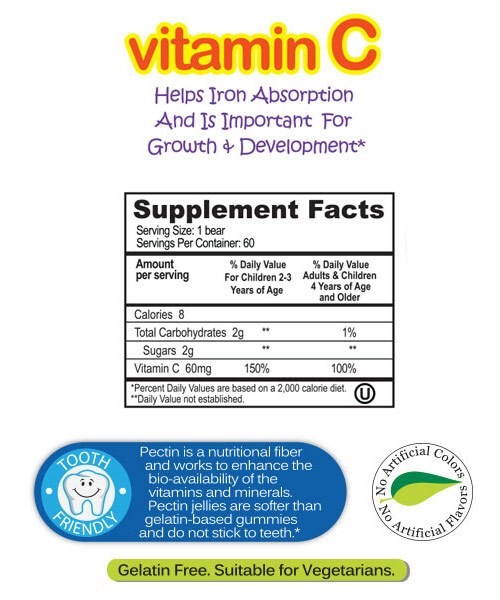 Description and Indication: Delicious orange flavor pectin-based gummy product provides children with a fun and tasty way to enrich their diet with the Vitamin C they need for a healthy and strong immune system. 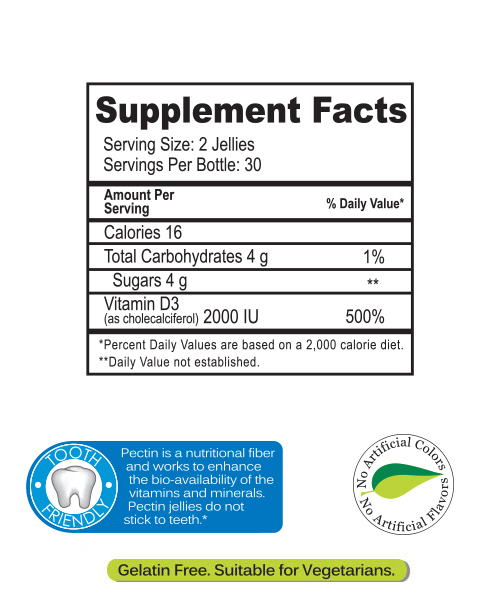 Description and indication: Delicious Fruit flavor pectin based jelly product provides children with a fun and tasty way to enrich their diet with the vitamins and minerals they need for their well being and the fortification of their immune system. Everyone loves chocolate. 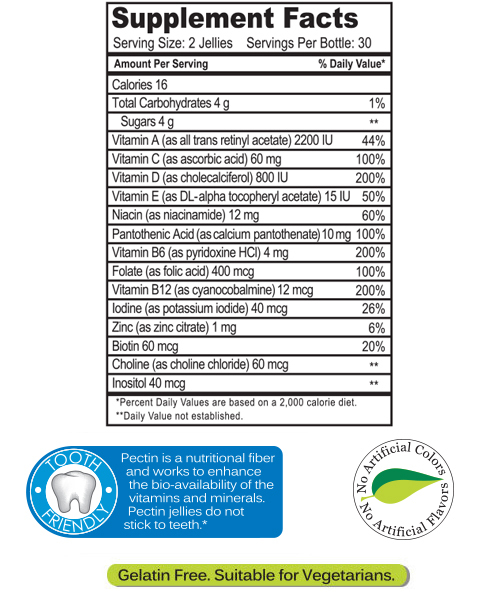 That's why we added yummy chocolate to our vitamins - and vitamins to our chocolate. 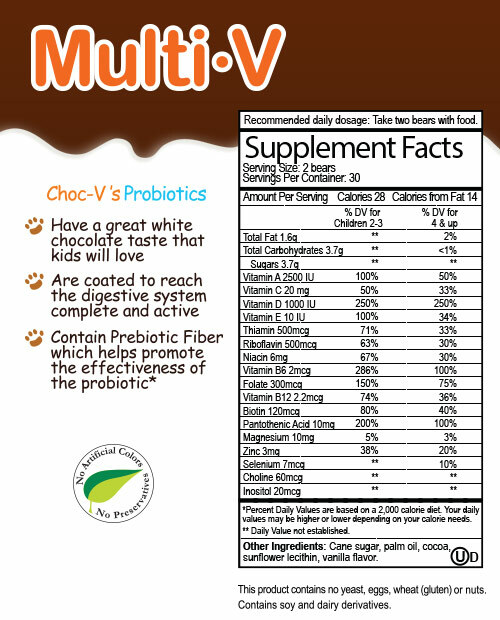 Choc-V's combines the wonderful taste of chocolate with all your essential daily vitamins for a new and improved, delicious vitamin. 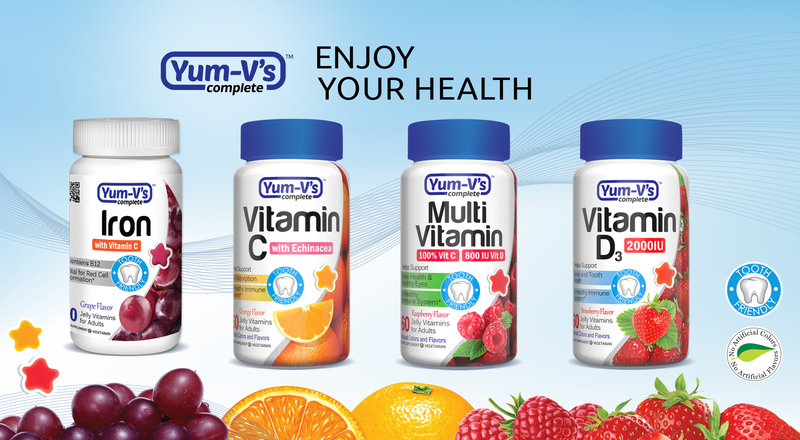 So leave your pills, your capsules, and your gummies behind and get ready for the next big thing in the evolution of vitamins. 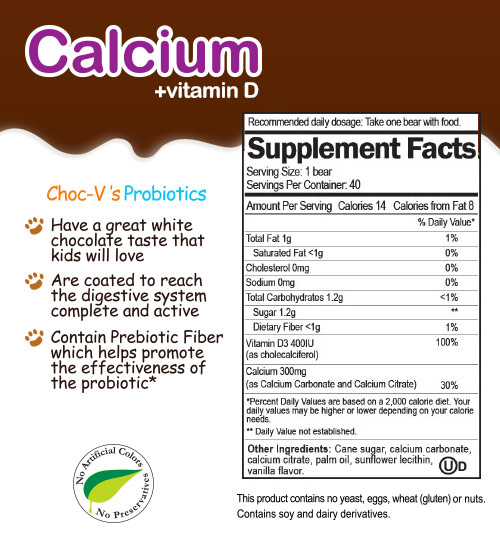 Description and indication: Delicious chocolate flavor, smooth texture bear-shaped Calcium units, formed by a proprietary micro-encapsulation technology, provide children with a fun and tasty way to enrich their diet with the calcium and vitamin D they need to their increase their well being and fortify their immune system. 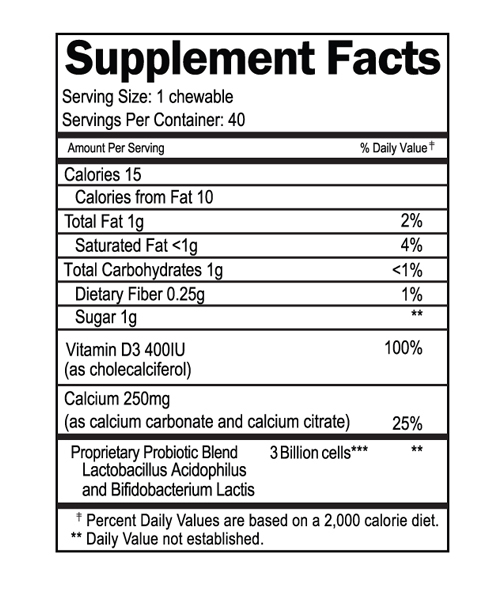 Description and indication: Delicious white chocolate flavor Probiotic bear-shaped units, formed with a proprietary microencapsulated technology which provides survivability of the bacteria over the product shelf-life, support the immune system and intestinal health. 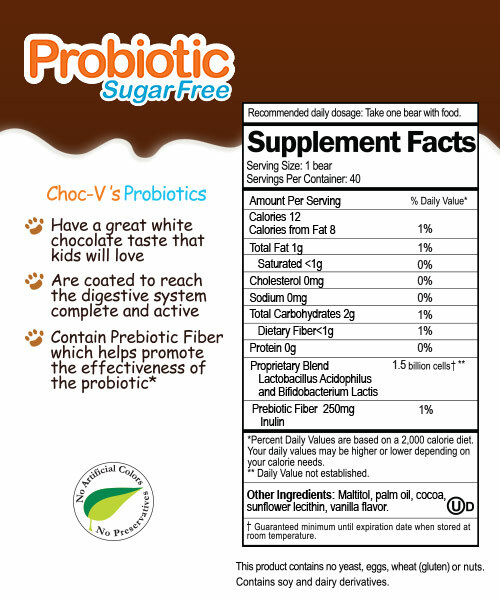 In addition, the inclusion of prebiotic fiber (Inulin) helps promote the effectiveness of the probiotic. 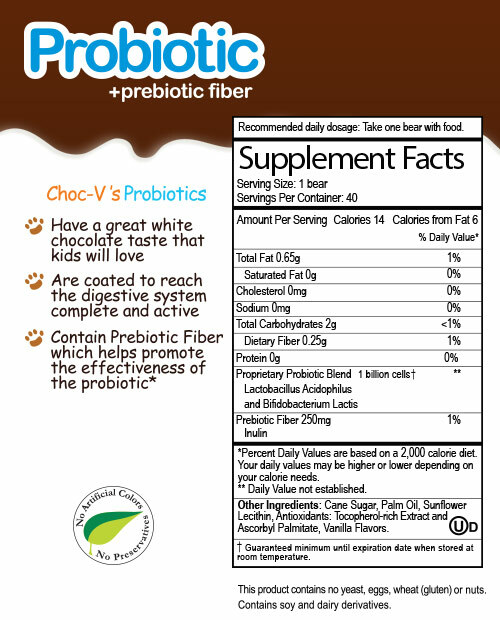 Description and indication: Delicious milk chocolate flavor Probiotic bear-shaped units, formed with a proprietary microencapsulated technology which provides survivability of the bacteria over the product shelf-life, support the immune system and intestinal health. 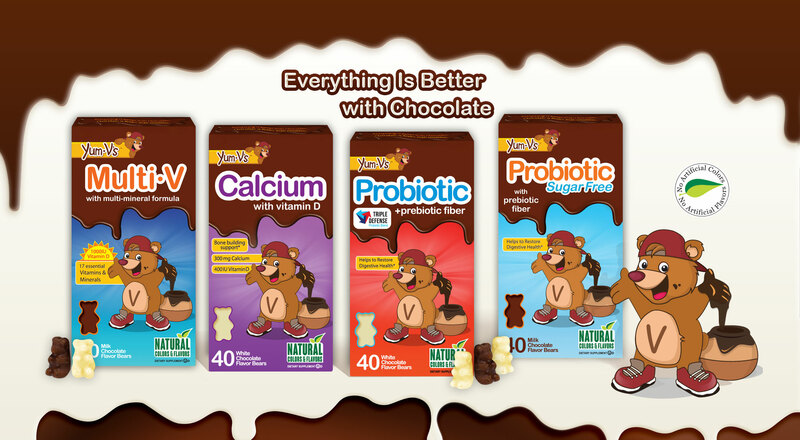 Description and indication: Delicious chocolate flavor, smooth texture bear-shaped Multivitamin units, formed by a proprietary micro-encapsulation technology, provide children with a fun and tasty way to enrich their diet with the vitamin minerals they need to their increase their well being and fortify their immune system.